The power supply might not be the most glamorous part of a build, but equipping your system with a well made PSU with sufficient wattage is critical to keeping things running smoothly. Doing so doesn't have to cost and arm and a leg, either. 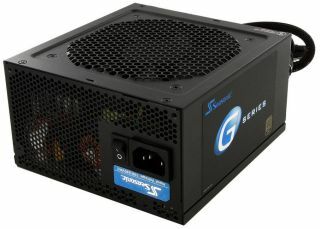 Case in point, there's a great temporary price cut on Seasonic's semi-modular 650W (SSR-650RM) PSU on Newegg today. Until around midnight (PST) tonight, Newegg is offering the Seasonic 650W PSU for $70 with a $15 mail-in-rebate that brings the price down to $55. Apply coupon code AFEMFGFJ22 to shave another $5 off, bringing the tally to just $50. That's a pretty good deal for a PSU from a reputable manufacturer. Seasonic supplies its OEM power supplies to other brands like Corsair, so you may have owned one in the past and never known. This particular model features 80 Plus Gold certification and serves up to 54A on a single +12V rail. Seasonic backs this model by a 5-year warranty. To grab one, go here.